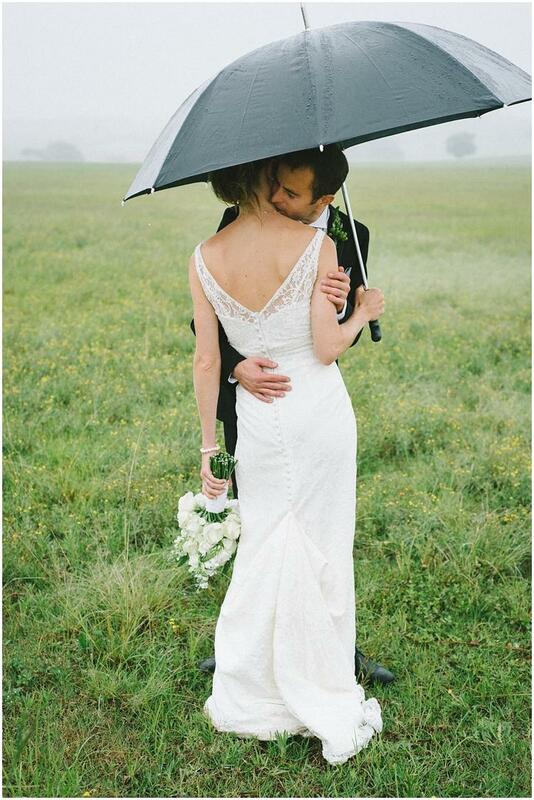 Unlike Alanis Morissette's infamous song, rain on your wedding day isn’t ironic - it’s just plain bad luck. Well, technically it’s a sign of fertility, but that doesn’t mean we want it to lash on our day. Especially in this country, it doesn't matter what time of the year it is, as we all know, it can still lash. But, with a little planning and a sunny outlook, you can still make the best out of a showery celebration. If the motorway is flooded and your guests can’t actually make the ceremony, it’s understandable to be disappointed. 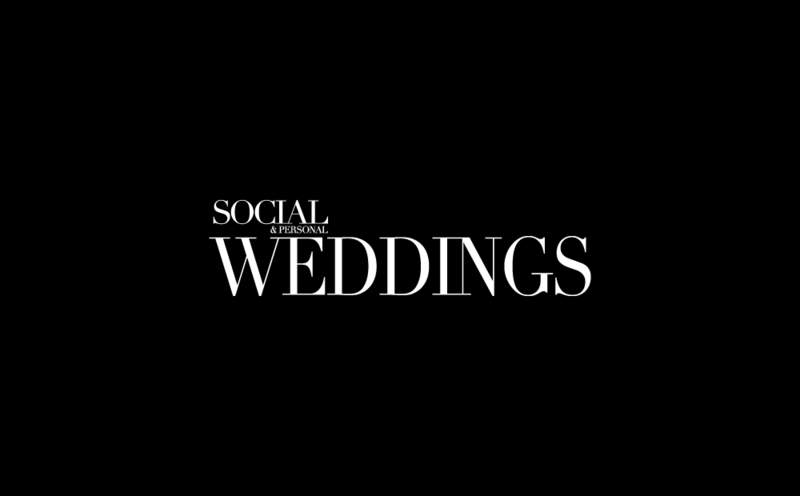 Your wedding insurance can cover this kind of upset, as the matter is out of your control, so this is a good reason to invest in some wedding insurance. If you know in advance you’re due for a few thunderstorms, keep an eye out for some fashionable wellies and cute umbrellas to make the most of the turn in the weather while still looking as amazing as planned. You could also have a second dress to change into if you want to protect your bridal gown. The chances are, your wedding photographer has met this kind of trouble before. They may have some tips to help create stunning photos with a rainy background, or some new places to go if the first plan has to fall through. 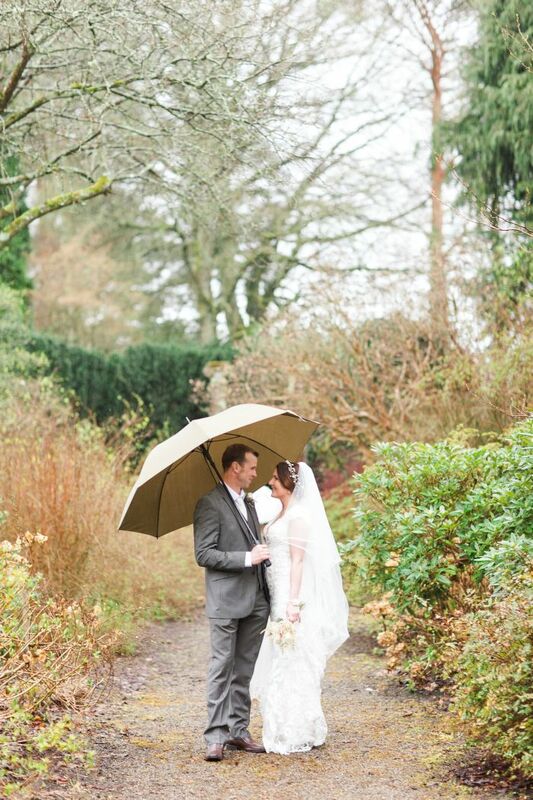 It might be a good idea when booking your photographer to ask to see any rainy day weddings they've shot before. Some photographers will shoot just as well in the rain, while others might even thrive on it. 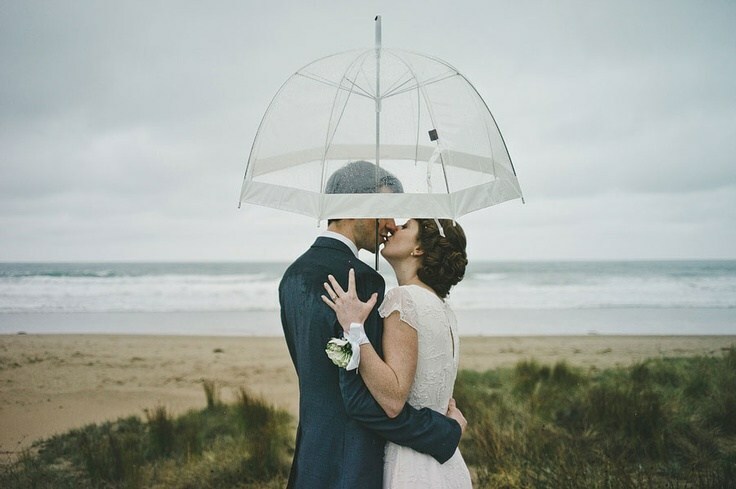 To help your guests through the journey from ceremony to afters, why not provide them with ponchos or umbrellas as a wedding favour that’ll certainly help brighten their day? Rain hats and macs also make for adorable outfits for younger guests to give their teddy bears. Ask your vendor if it would be possible to hire a tent or marquee, so you can keep your guests outside on the grounds but still keep them dry. You should also ask if they can provide a heater for the tent, as wet and cold conditions could make for very grumpy guests. You can't control the weather, that's a guarantee. The most important part of your wedding day is that you and your partner get married and everything else is a bonus, so if it happens to rain, don't get upset. 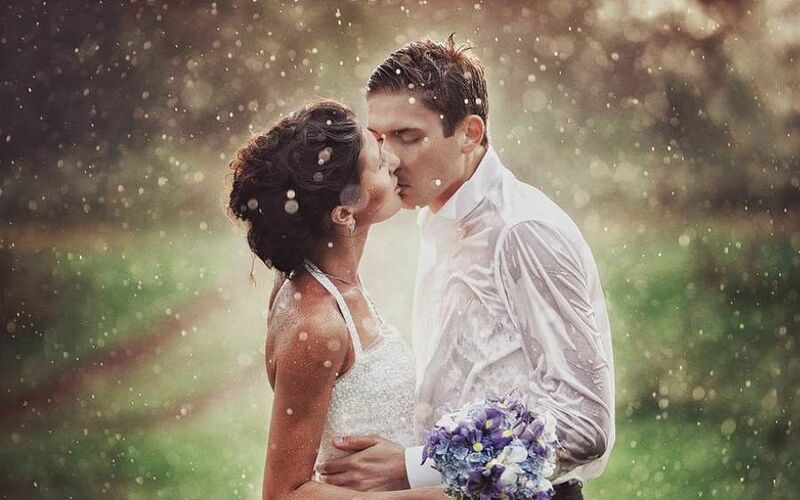 Rain can make for some of the most beautiful wedding photographs, and when everyone's having a good time, the weather won't matter, so roll with whatever Mother Nature throws at you.